£5 for a pint of ale that any half decent cellarman would be ashamed of? I remember it as Babushka's and although it was a little poncey in its previous incarnation, it was better. Like a lot of London bars, the owners think they can apply fake rococo stucco to the walls as an excuse to drive up the price. Service was also a bit 'cheeky chappy' but in far from a genuine way although the food looked Ok. Doombar and Tribute formed a duo of Cornish ales and both were pretty well kept. There is a pleasant terrace overlooking the canal. I'm quite surprised by some of these reviews my friends and I drink in here after work sometimes and we've only had good times. 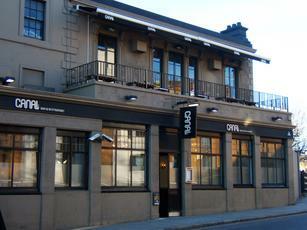 The staff are friendly and when we have eaten there the food has been great! Haven't been upstairs so need to check that on my next visit. A maze of a place used for amusing theme nights and stuff like that. Not a pub any more, interested to hear it used to be the Swan. This looks like it used to be the Swan where I spent many happy lunch hours in the late 70s drinking Charrington IPA and eating cheese and ham toasties. A down to earth pub with friendly owners and appealing to everyone from BUPA consultants to locals with office workers such as myself in the middle. How are the mighty fallen! Typical of London pubs today - create something expensive and crap nobody wants to go to and then refurbish regularly.